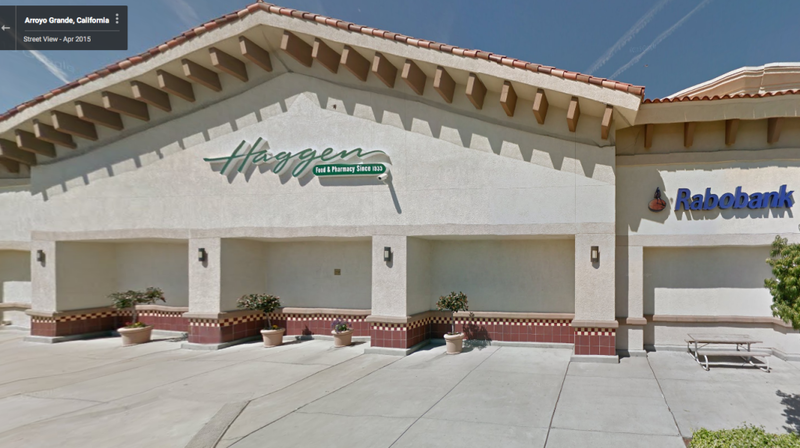 Central Coast Haggen grocery stores are among those locations being auctioned off this week in Los Angeles through the bankruptcy court. Last year, Haggen grew to 164 locations after it purchased 146 stores from Safeway and Albertsons, but then failed to turn a profit. In September, Haggen announced plans to close 127 stores in California, Arizona and Nevada as part of an ongoing bankruptcy. Several grocers placed baseline bids on Central Coast Haggen locations. Spencer’s Fresh Markets put a baseline bid on the Arroyo Grande Haggen location, according to the list. The Foothill Boulevard Haggen in San Luis Obispo and the Los Osos Haggen are included in the auction, but have no baseline bids posted. In Santa Barbara County, Albertsons bid on the Lompoc store location and the Turnpike Road store in Goleta. In its first attempted foray to the Central Coast, Sprouts Market made a bid on the Fairview Avenue Goleta location. Roxy’s Market is seeking to purchase the Cliff Drive Santa Barbara location. Final bids should be available in the next few days. In addition to the locations up for auction this week, a judge is expected to rule shortly on a bid from Smart & Final to purchase 28 stores including locations at Johnson Avenue San Luis Obispo, Creston Road in Paso Robles, El Camino Real Atascadero, State Street in Santa Barbara and the Linden Avenue in Carpinteria locations. I’m expecting nothing less than a Trader Joes in Los Osos. After all we’ve been through, we deserve it! Will not happen. TJ’s only opens stores in towns with a large enough population. Many people in Osos drive to work in SLO and will just shop at the SLO TJ’s. In the AG TJ store, it has become so crowded it has become onerous to shop there. If Spencers gets the ex-Albertson’s-Haggan’s store, it is highly likely groceries will be higher priced than Alterson’s store. So, the way I see it, there isn’t much difference in what we had with Haggan–which I, and many others, didn’t frequent. So why bother? You just have to pick the right time to shop at TJ’s, it is not crowded at times. What is harder is to find produce at TJ’s that is not from Mexico, it is not the “local” store many try to sell it as. After all the financial damage done to the residents of Los Osos by the previous CSD’s, the only thing they could afford from Trader Joes is the two buck chuck wine. Hmm… I wonder why they didn’t mention my $25 bid. I’m hoping to open a tobacco & gun superstore; there simply aren’t enough tobacco or gun shops in Los Osos. Guns and tobacco do not take up too much space. I think there should be enough room left over for a drone expo. This might integrate nicely with the gun sales….especially if you add a 3d printer. yeah, spencers in ag sounds good. even if kfb and lh wont shop there. This is the collateral damage caused by the lack of proper governance… a Dollar Store. How appropriate. After the dirty tricks Spencer’s played when they were in the current Smart and Final location in Arroyo Grande, if they do get the Haggen location in AG I will not shop there, and I know many others who have not forgotten. I have a friend who is disabled who was able to shop independently at Spencer’s when it was in AG because the isles are wide and it is easy to get around to shop. So perhaps the Spencer’s in AG might allow her to do her own shopping again, but unless they widen the aisles and make shopping more disabled-friendly, something Haggan’s didn’t do, then even the disabled shopper won’t be able to independently do their shopping. Many stores are reducing isle widths, it’s called maximizing sqaure footage and inventory, and they think increases shopping time and in the end profits. Sorry to say it’s likely not to change anytime soon. Really? Dollar Stores, Inc. didn’t bid? That’s a shock. Los Osos needs a competitive GROCERY store–not a dollar store. The fast-approaching holiday season is sure to be chaotic in Los Osos with now only one place to purchase groceries. Too bad any newcomer will not enter the marketplace soon enough. My guess is Los Osos might end up like Nipomo with one grocery store. Similar size towns, demographics. Both are bedroom communities where everyone drives somewhere else for work, which hurts the grocery store in town because people will shop for things close to their work and then drive home. And that old Williams Bros/Vons in Osos is outdated and small for today’s grocery store standards. It isn’t surprising no one bid on it. If Los Osos had the money to support a Grocery store, you’d have one. Like I said before, the fact no one wants these stores is a de-facto proof of how poor this area is. The shopping center on Foothill in SLO will be nearly 100% vacant once Haggens leaves. Bad sign. It really is frustrating to see such community upheaval, especially since simply learning about the demographics of the people they hope to be attracting should have been the clue that Haggans in AG and Los Osos would fail. Making these stores work was not the plan. The worst part is, the P and E group which made Haggens take this on could care less about any of these communities and even more, will end up making money on the sales of stores. They will be rewarded by the American econ system for hurting these towns. Your government, Federal, that you paid for, allowed it to happen. Don’t blame the state on this one, this was DC. it will be nice to have Spencer’s back in AG. Hopefully we can take some business back from Von’s and keep some revenue businesses in our town. I’m surprised Spencer’s bid on the AG store after closing in AG, SLO, and Atascadero. But that store is in a great location and neighborhood. With Haggen gone, many AG residents will have to cross 101 to shop at Smart and Final or Vons. Residents of AG are hardy folk. I think they can brave the horrors of traversing over the freeway to buy groceries. And will for the right prices.